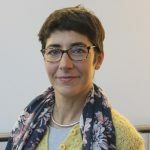 On the 31st January, Elvira Perez, Associate Professor of Digital Technology for Mental Health attended the launch of a 5Rights Foundation Report ‘Towards an Internet Safety Strategy’ – a framework to prevent harm to children from digital products and services. The Report references collaborative work between 5Rights Foundation, EPSRC funded Horizon Digital Economy Research at the University of Nottingham, and the University of Leeds on the production of ‘The Internet on our Own Terms’ How Children and Young People Deliberated About their Digital Rights, published in January 2017. Elvira told us “I am very excited to be part of this work, capturing children’s views in relation to their digital rights and further activities contributing towards a global consultation to gather children’s ideas about their rights relating to the digital world.